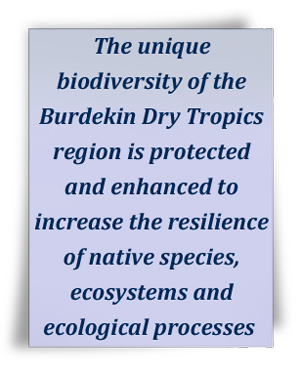 The Burdekin Dry Tropics is an incredibly biodiverse region, being the confluence of seven bioregions, with natural assets of national and international significance, including two World Heritage Areas, two Marine Parks, 25 National Parks, one Ramsar-listed wetland and 34 Nationally-Important Wetlands. Additionally, there are 1,621 km² of Nature Refuges, and other Voluntary Conservation Agreements covering sites of high biodiversity within our region. Figure 14 shows the high biodiversity areas and habitat corridors, which were identified in the Queensland Government’s biodiversity planning assessments for our region. An intact biodiversity is critical to the integrity of natural ecosystems and their services which make a vital contribution to our quality of life and wellbeing, and underpin the region’s prosperity (Department of the Environment, Water, Heritage and the Arts, 2009). 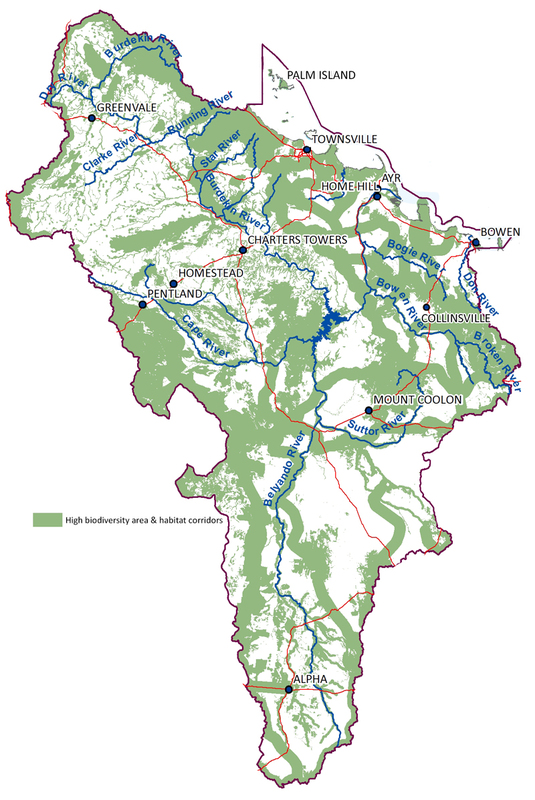 As ecosystems and their services form the basis for many natural assets of the region (eg. 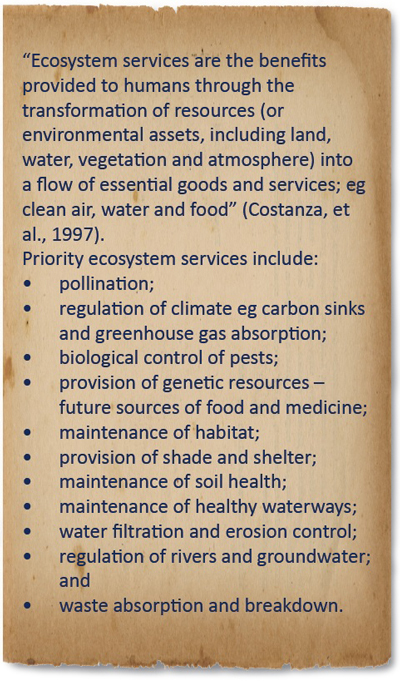 soil, water, vegetation), the sustainability strategies included in the four sections – People connections, Climate change, Land and Water also work to protect and enhance our region’s biodiversity which supports healthy industries and communities in our region.